Saving lives is a serious job, so it’s only natural the gear is serious too. That’s why we engineered the Men's Guard Springdale Boardshort. 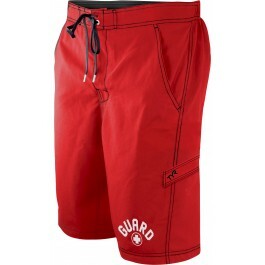 Equipped with the industry’s first built in, boxer style liner, these boardshorts provide comfortable coverage. They also feature a 10.5” inseam, draw cord waist and elastic back outer construction. Engineered with 100% Polyester quick dry fabric, the SBGSP5A boardshort keeps you feeling dry and unrestricted for long-lasting wear. This suit also features built-in UPF 50+ capabilities for ultimate sun protection, making it perfect for lifeguarding at the pool or beach. Q: Is there a back pocket? A: Thank you for contacting TYR Sport! We are always eager to answer any questions you have about our company. Our Men's Guard Springdale Board Short does not have a back pocket. This short has side pockets and a lower side pocket also. Saving lives is a serious job, so it's only natural the gear is serious too. 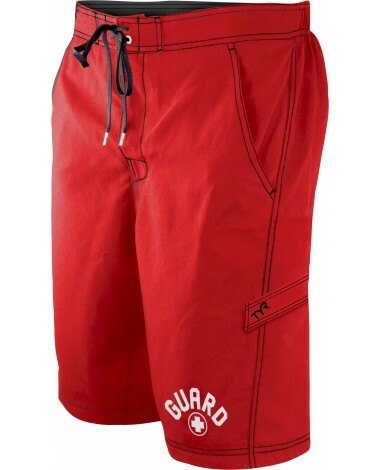 That's why we engineered the Men's Guard Springdale Boardshort. 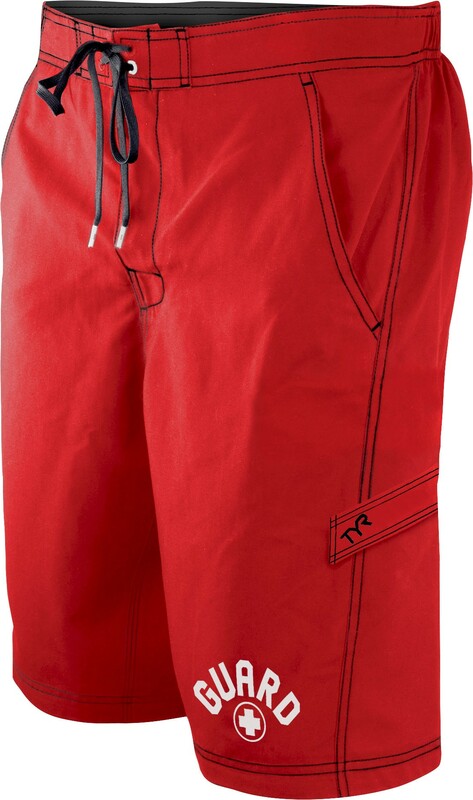 Equipped with the industry's first built in, boxer style liner, these boardshorts provide comfortable coverage.